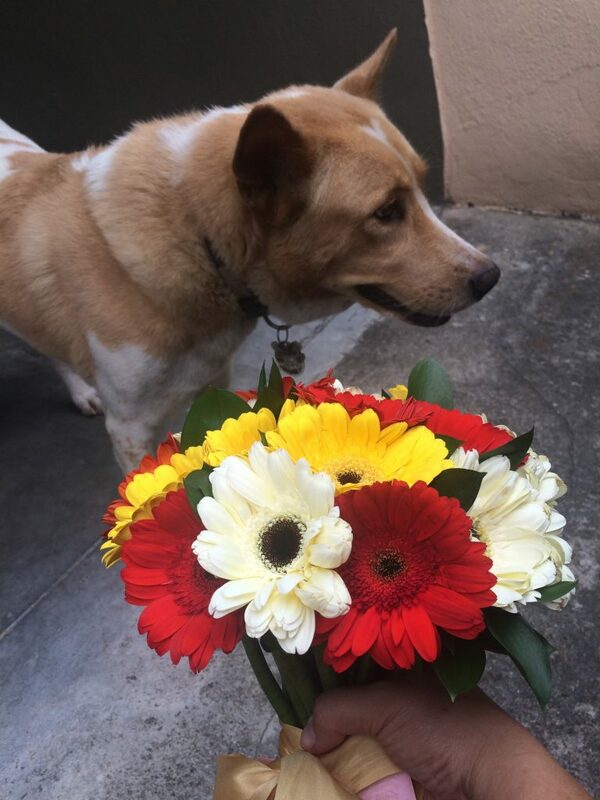 Back a few year ago, I started getting myself flowers once a week to cheer myself up from having to deal with a nightmare of a toxic and thankfully former colleague. I’m not sure why I stopped. The florist I usually go to moved and it was a break in routine that stopped my flower habit. By then, I guess I didn’t need the extra reassurance and I was sure I would survive this episode in my life. 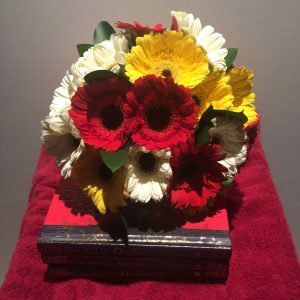 Nonetheless, having a delivery guy from a local florist turn up at my gate last Friday with a bouquet of explosively cheerful gerberas still gave me a rush of delight… even though I was expecting the delivery. The fella clearly enjoyed this part of the job where he pulls the bouquet out the protective plastic bag in his motorcycle basket, and present it with a grin and flourish. I enjoyed the fact that he enjoyed it. I went inside and present it to the in-house customs officer for inspection, because any and all items or bags going into the house must be cleared. Please hold. Inspecting item for ninjas, food or other foreign elements. She summarily ruled it inedible and cleared it for entry. Okay, now get it out of my face. 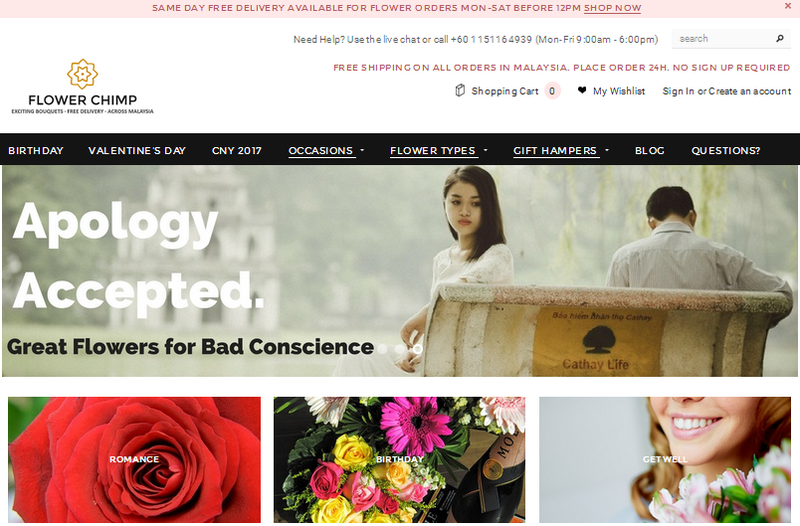 When I was told about Flower Chimp, I was still jet-lagged from returning from New Zealand and wasn’t particularly interested in another service that probably doesn’t acknowledge Sarawak as part of the nation. Then I decided I was being unfair and took a look. Even if they only deliver to Klang Valley, I have friends there who probably won’t mind a nice surprise. Surprise! They deliver nationwide, including Kuching and Kota Kinabalu. 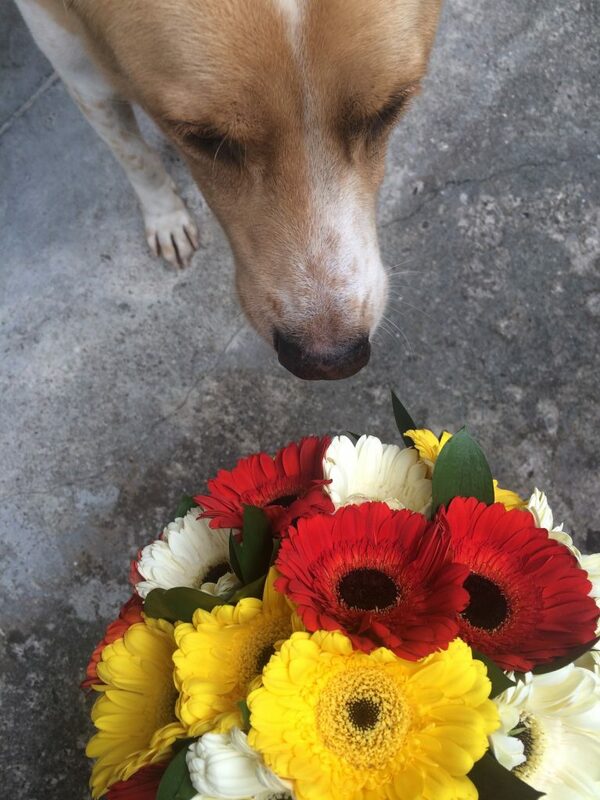 What the heck, I ordered myself some flowers. So the great thing is that they offer same day delivery (Mon-Sat) if you order before 12pm. This means if you screw up in the morning, you can have “sorry” flowers delivered before 5pm. Free delivery and card summore. 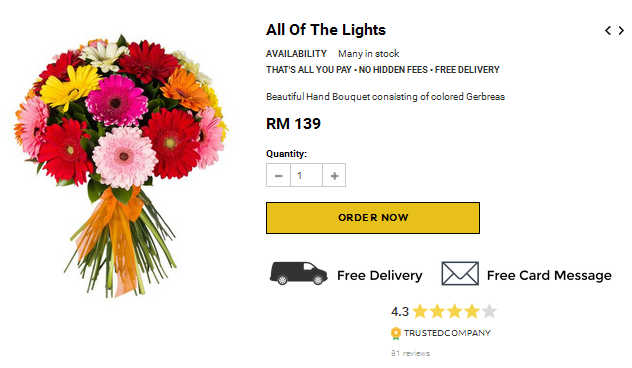 It doesn’t have to cost an arm and a leg; there are options that are below RM100 but you can also get pretty extravagant, depending on how hard you screwed up this morning. Picked because it looks like each stalk will standalone. The actual thing arrived looking exactly as it did on the site. Okay, they didn’t have pink but I’m not Barbie. 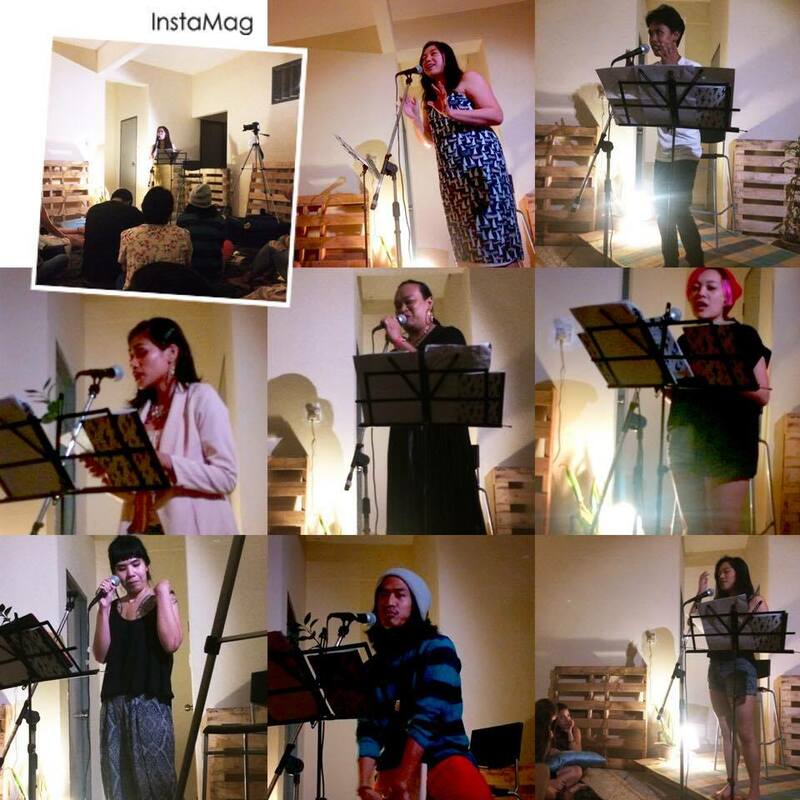 Some of the performers at Word of Mouth 7: Diary. 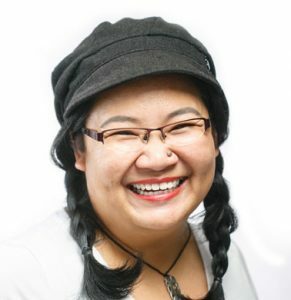 I took it to the seventh edition of our local spoken word show ‘Word of Mouth KCH‘, very big deal because it’s our first of the year and it turned out to be the best yet, and gave the flowers to all the performers I could find.What can I say… flowers make nearly everyone happy, if a bit confused. A couple of them bailed early and some “forgot” their flowers at the end of the night, so I collected them back and now they’re sitting in a mason jar in my living room, no longer attractively bound, but still pretty.